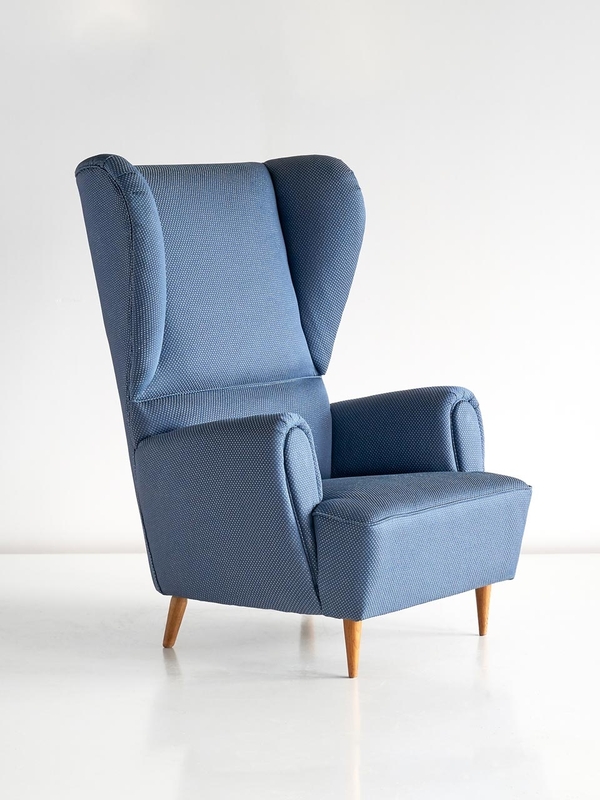 This very generously sized wingback chair by Paolo Buffa has a grand yet playful design. Paolo Buffa is known for his modern interpretation of classical design, in which dimensions and proportions are transformed into refined and exciting new shapes. 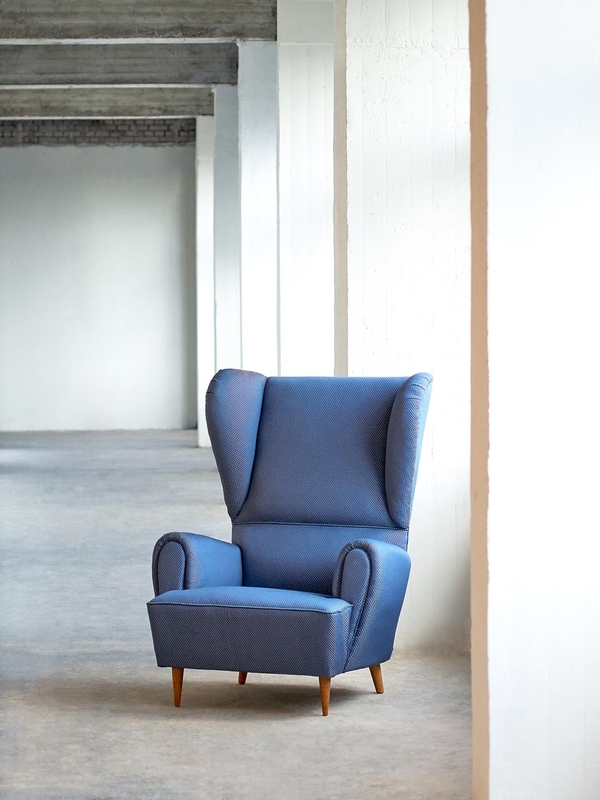 The armchair is very comfortable due to its high back and well-sized armrests. The chair has been newly reupholstered in an elegant jacquard Taidai Iris fabric by Rubelli. The raised pattern of dots is produced by a reinterpretation of the Japanese tie-dye technique, resulting in a simple yet sophisticated 3D pattern. Condition: Excellent. 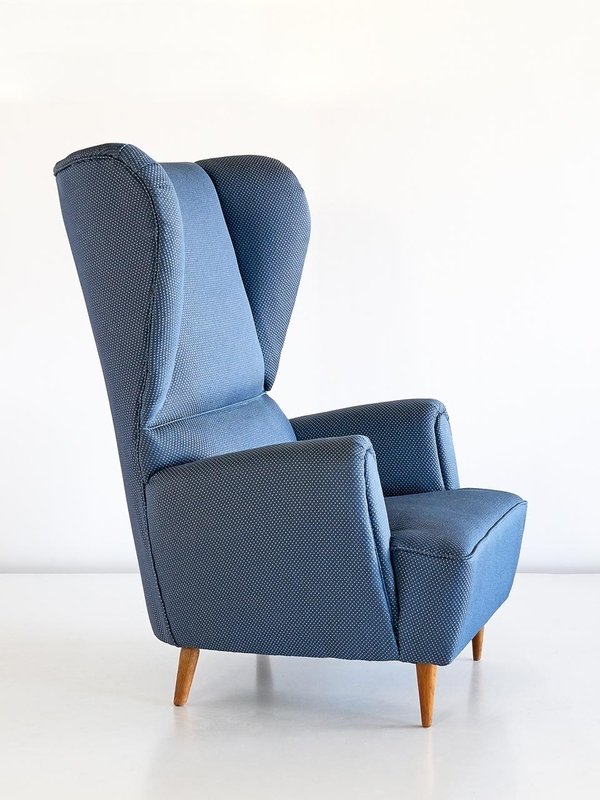 The chair has been newly upholstered in the Taidai-Iris fabric by Rubelli.